As the healthcare industry continues to move towards a value-based payment model, hospitals are relying more and more on quality outcomes. 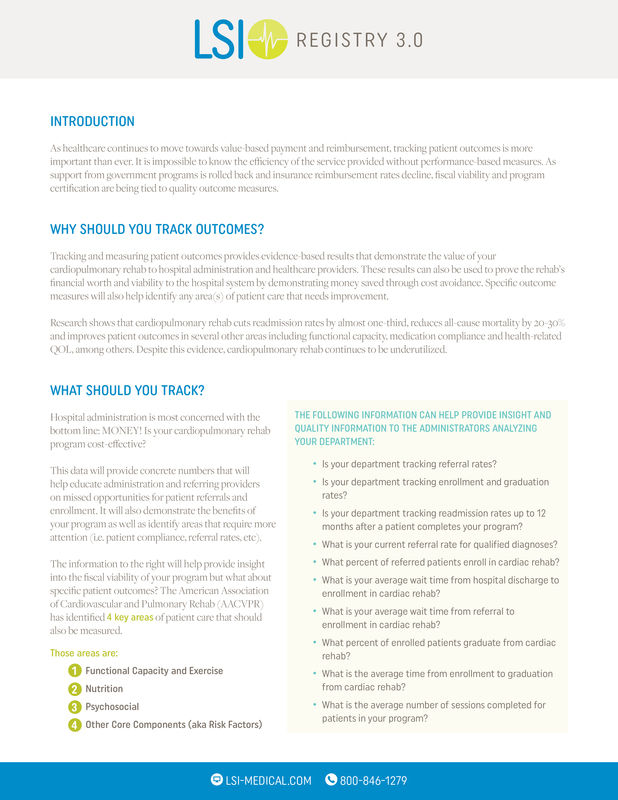 Not only will tracking patient outcomes help you and your staff identify opportunities for quality improvement, but they can also be used to create an individualized treatment plan and set appropriate goals for each patient. 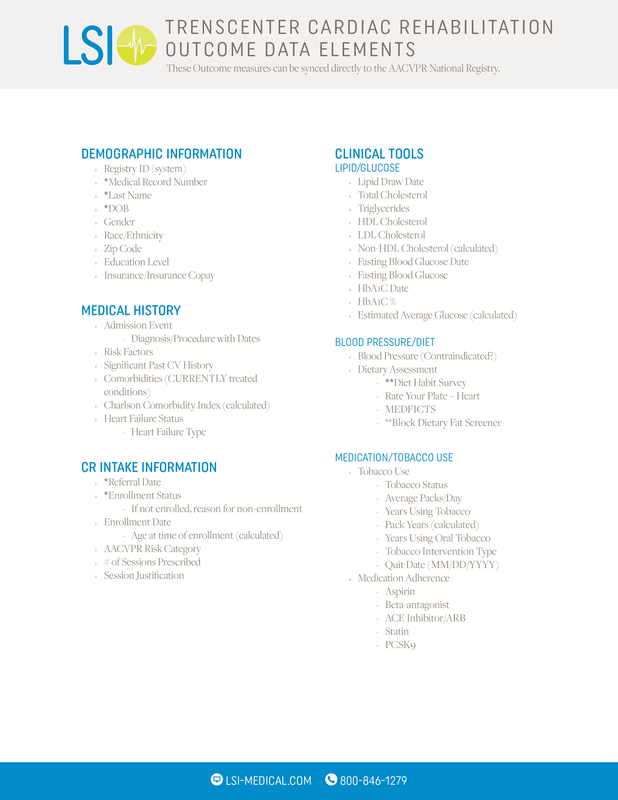 With so many options to track patient data, it can be difficult to determine the best option for you and your program. 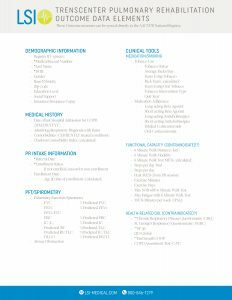 The AACVPR Registry is a great resource created by industry professionals that relies on evidence-based outcomes. 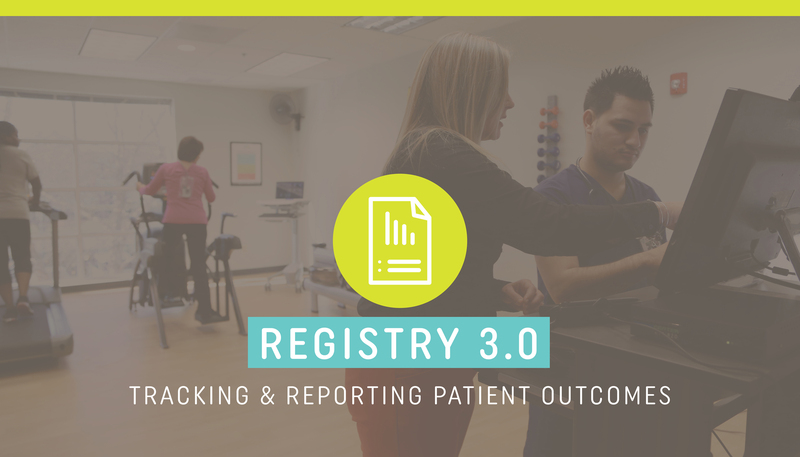 By using the Registry, programs can benchmark their patient outcomes against others across the country. As a founding sponsor of the National Registry, LSI has partnered with AACVPR to allow clinicians to sync data from our TrensCenter® Outcomes directly to the Registry so that all data is housed in one location. 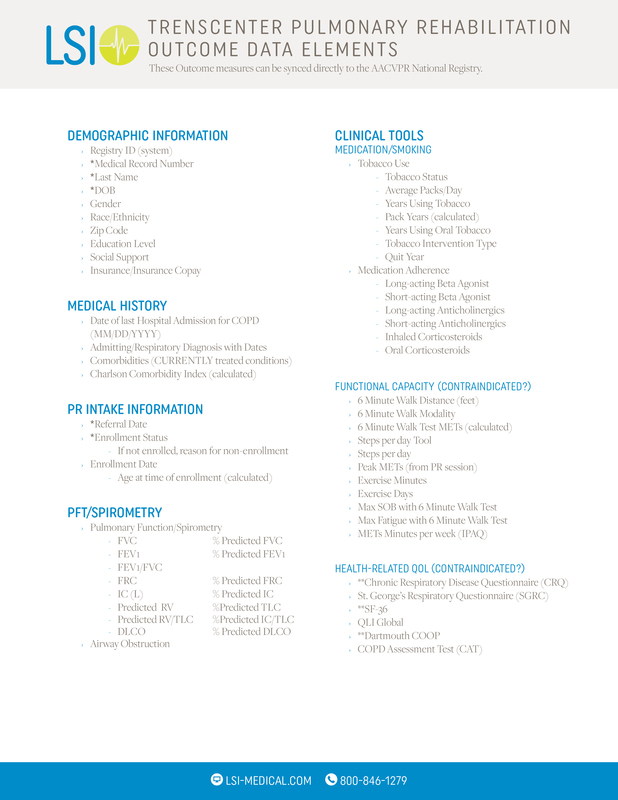 To help guide clinicians through the outcomes collection process, LSI has created TrensCenter® Data Elements Outlines. These documents list the various tools approved for each outcome measure and identifies other key measures that help determine program efficiency. Visit our Educational Library to request copies of these outlines. 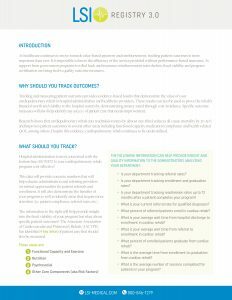 We’ve also created a two-page handout to explain the why, what and how of tracking outcomes. 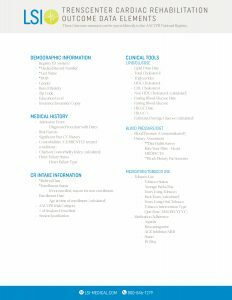 Visit our Educational Library to request a copy of the Registry 3.0 handout.